While electric vehicles sales in the US make up around just 0.6 percent of the total market – a figure that will increase once Tesla’s Model 3 arrives next year – EVs continue to be much more popular in Europe. In the Netherlands, which ranks second in the world when it comes to electric vehicle uptake (nearly 10 percent), politicians have voted through a motion that could see the sale of all gas-powered cars banned by 2025. The motion has passed through the lower house of the Dutch parliament, and now needs to be approved by the nation’s senate for it to become law. The initial proposal from the Dutch Labour Party (PvdA) sought to ban all non-zero-emission vehicles, but this was changed to the less extreme motion that allows gas-powered cars to remain on the roads but restricts the sale of new models. Only Norway boasts more electric vehicle purchases than the Netherlands; EV sales in the Scandanavian country make up 22 percent of the market. 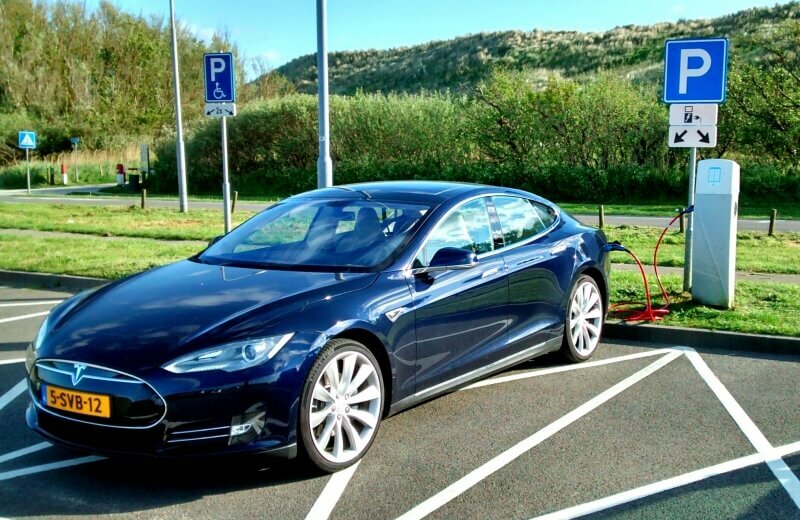 Dutch citizens bought 43,000 new electric vehicles last year, but a significant percentage of these were hybrids, which wouldn’t be allowed under the proposed law. The Netherlands isn’t the first European country to look at ways of reducing pollution by banning gas-powered vehicles. Norway’s capital city, Oslo, will ban all privately owned cars from its roads in 2019, the exceptions being those carrying disabled passengers and vehicles transporting goods to stores. If there was better battery technology I would be all for ending the use of fossil fuel vehicles. For now I agree that it might be overambitious and unrealistic, but only time will tell. I can't wait for Tesla's Model 3 to go into mass production; Would love to get one of those! ...and keep my current gas car for long trips. My current car cost me 200€, next one will be roughly the same in worth. Maybe 20years from now I can get one for 200€ but as I know nothing on the mechanics of a electric car so I couldn't repair it my self, and that is a must for a 20year old car. Also the batteries will be dead and originals cost more than the car, then I have to buy some cheap chinese reproduction ones that might explode. Well can't do nothing but wait, hope they think about second hand market when they make these. This may result in prices for new gasoline cars to become astronomical in 2024, caused by people taking the last opportunity to buy a new one. I say bravo for the attempt, although I don't think it's terribly realistic. A few years back there was a lot of discussion about a "super capacitor" that could store gobs of energy and regulate the release, thus allowing an electric vehicle close to 1,000 miles of travel before a recharge. Haven't heard any more about it but once available and plentiful it could certainly spell the end of fossil fuel use, at least for cars and light trucks. Larger commercial vehicles like semi-tractors and the like may be a much different story. Due to causality, "necessity is the mother of invention" will finally bring actually change in the stagnate battery tech that is long overdue. Unless they plan to meet the increased demand for electricity ONLY with renewable energy sources, this is a dumb and hypocritical idea. toxicfiend, nestorius, mojorisin23 and 1 other person like this. I'm sure they've already outlawed gas, coal and nuclear power. I guess that non-stop socialism and uncontrolled immigration isn't wrecking the Euro-econmies quickly enough so they want accelerate the process. After all, gotta meet those Agenda 21 depopulation quotas! So where does their electrical power come from? How much more will then now need, how will they supply it? The questions go on and on. Perhaps they can figure it out while they are all standing around for hrs waiting for their cars to recharge? Super cap? Old, old news, not going to happen. Some places are just so far ahead of the curve when it comes to stupidity. I live in the Netherlands but the politicians here always come with stupid ideas, it will go away. In the most "big citys" they banned old cars, and if they come they get a fine they must pay. I wonder what kind of metals these things use, lithium, mercury, lead perhaps, mostly not easy to produce. They can (and do) power satellites with nuclear reactors. Imagine, a car that requires no refuelling for 50 years, if you have a truck maybe it can power your home too! In my cold climate I imagine the heater could really pump it out too. This doesn't seem wise. On another topic, the oil we have in the ground could not have come from decaying plants unlike scientists said. The source of carbon from plants is carbon dioxide, and we would have needed megatons of co2 in the air to produce such a thing. Some day I hope a rabbi will explain the miracle of hanuuka to me (lamp burned for 8 days on 1 day worth of oil) and that might give me an idea of where all our oil came from. I think this is pretty admirable, they want to protect the clean pristine nature of their country, and they are willing to enforce electric vehicles to do so. Unfortunately here in the states we have oil and gas lobbyists who will never let this happen. Oh yes, it will happen. In our lifetime, no doubt about it. I forsee in the truly not so distance future, outlaw of all new gas powered cars. Then a decade later or 2, even old gas powered cars will be outlawed. But, by then all the cars will be self-driven as well. So yeah, maybe a good 50 years. Still. I'll be 81. That's my bet. Hopefully, by then we can expect a 1 time 1,000 mile + charge. That is, batteries that last at least 1,000 miles per charge. Though that may not be a "battery" as we think of it today. The real benefit to a 1000+ mile battery pack is that you would only need to recharge it at most 250-300 times during the life of the car. That would mean you never have to replace the pack during the life of the car. That'd be a real benefit considering it's a $7k+ replacement currently. I see a time in the not so distant future when these countries will have horse drawn cars again or maybe just walk everywhere. As of today there is no economic replacement for personal transportation and there are no viable ideas on the horizon. We really don't have too many non-electric cars, we just have too many people on our planet reproducing even more people. It seems they are ahead already in the adoption of Electric cars. Holland is small, flat, forward looking and prosperous which will help enormously. The big push has to start somewhere and Holland looks to be already ahead. The USA certainly won't be leading the field other than hopefully advancing the technology. Wonder how this will play out in the near future as apparently there is so much oil surplus these days. Will it benefit the end users in the end or the big corporations again?